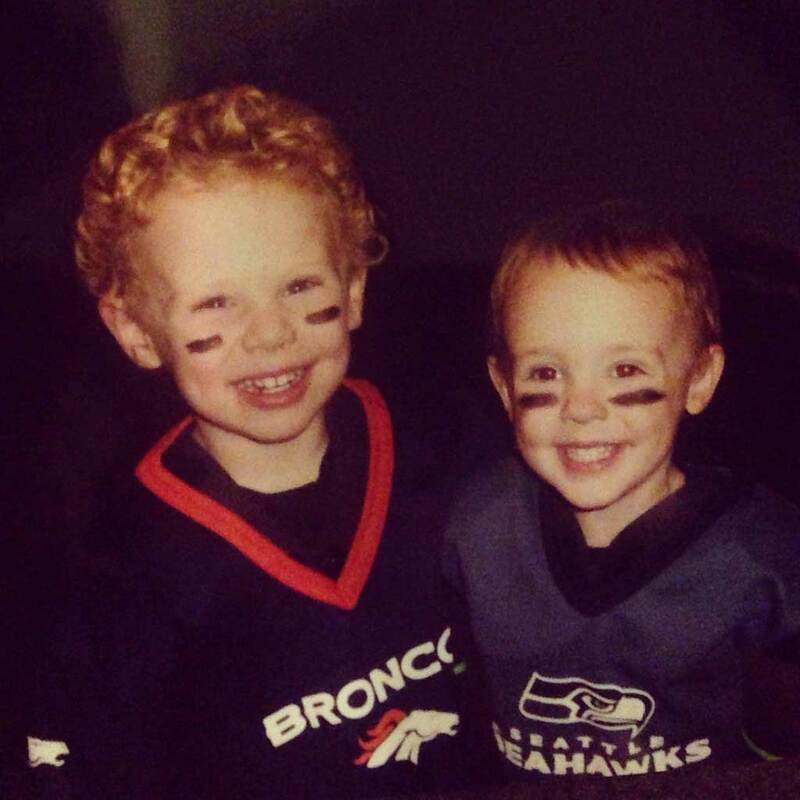 Our family has been ready for the Seahawks vs Broncos Super Bowl for years apparently. 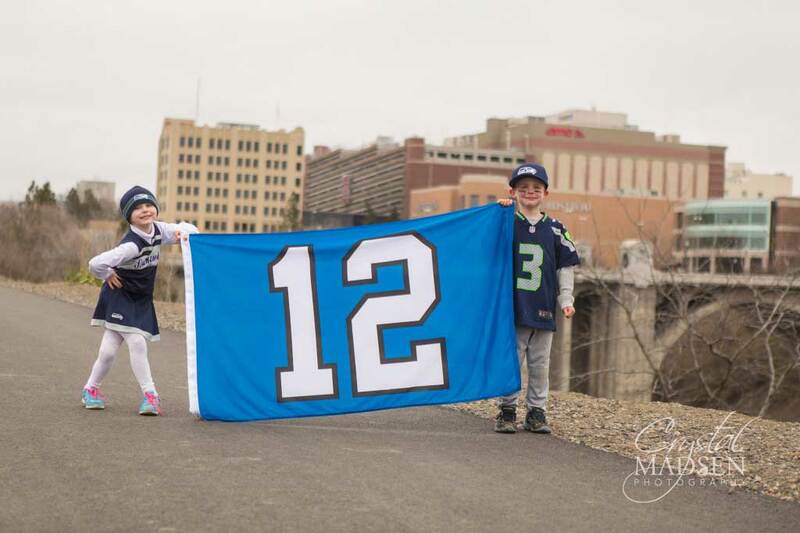 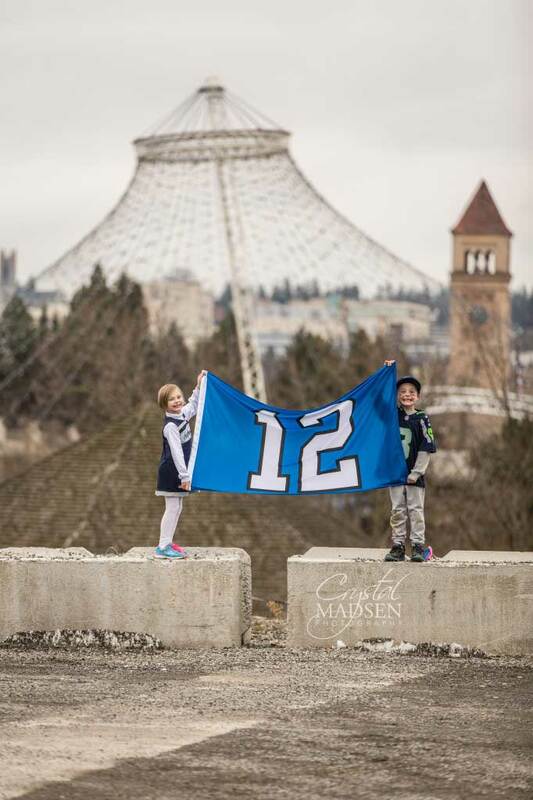 Our little one (David on the right) and my husband’s sister’s little one (Jackson on the left) are only months apart in age and are die-hard sports fans. 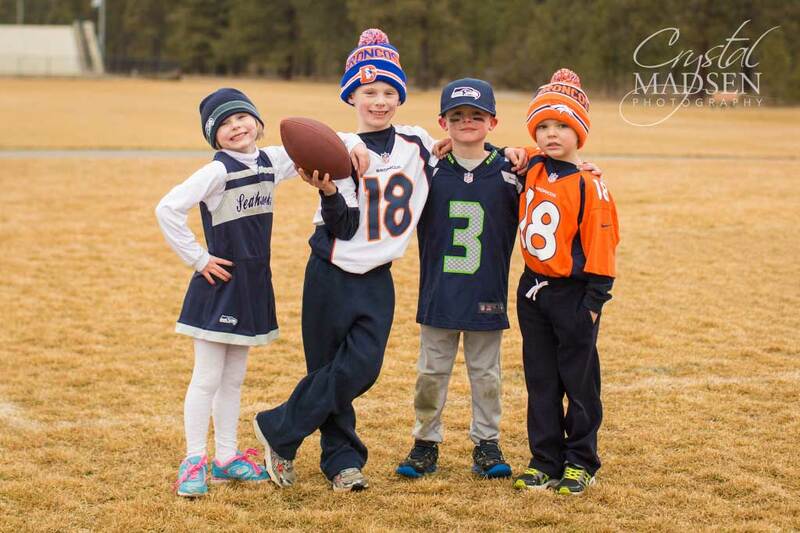 Of course with their parents’ influence, they have both wisely chosen to follow some of the best (and worst…I guess not so wise) professional teams. 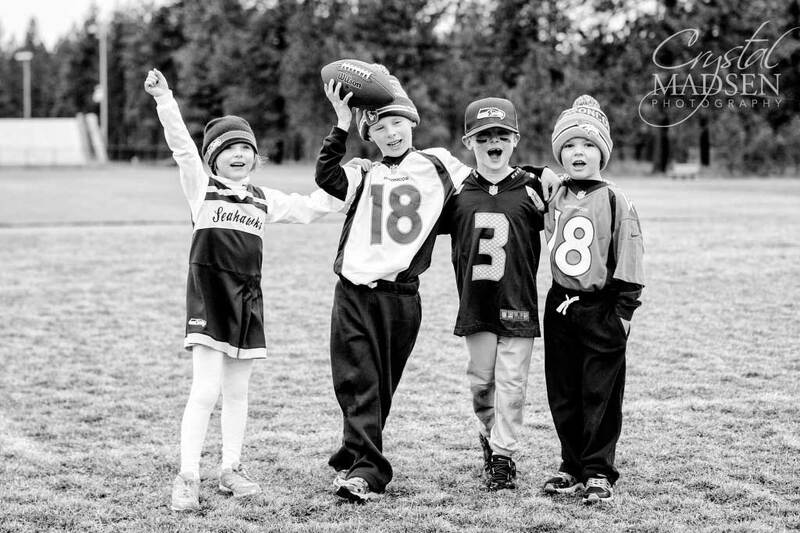 I believe this photo below was taken on Halloween in 2009. 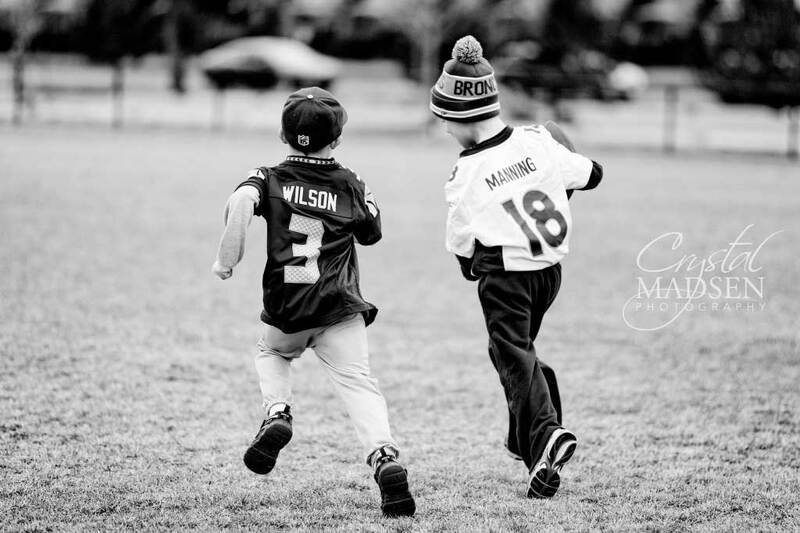 Both boys proudly wearing their favorite football teams’ jerseys, not knowing how much they would love the sport in years to come. 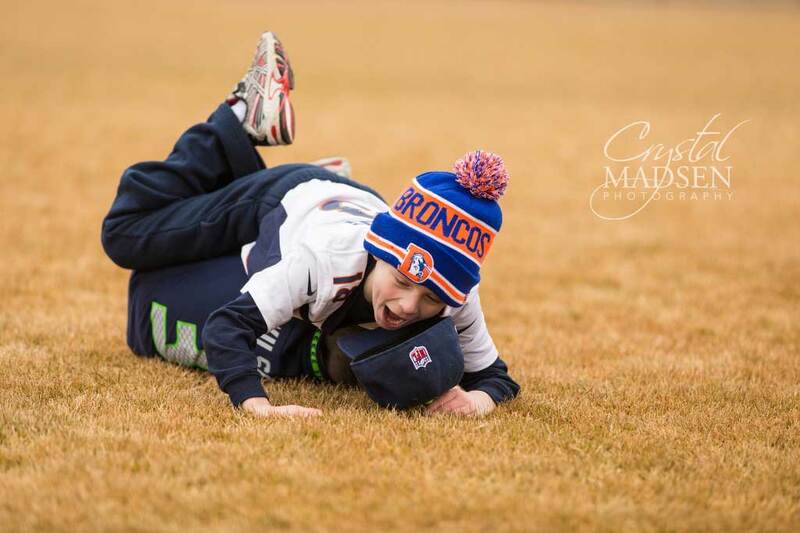 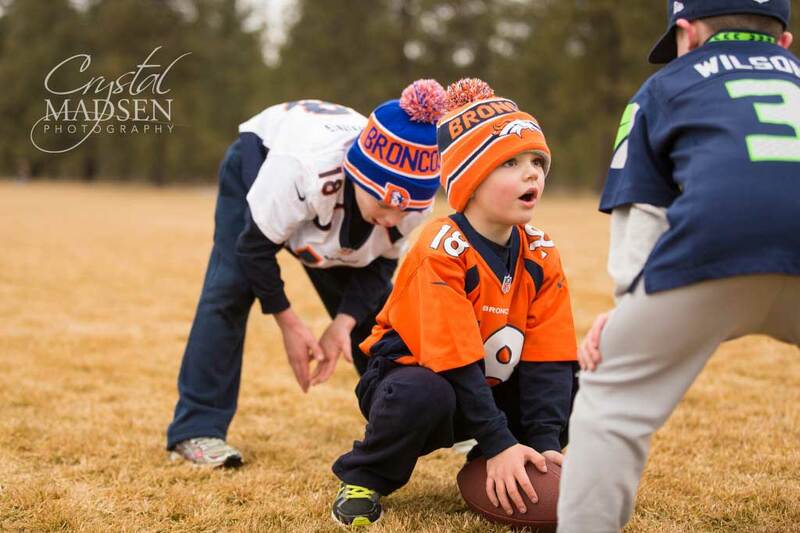 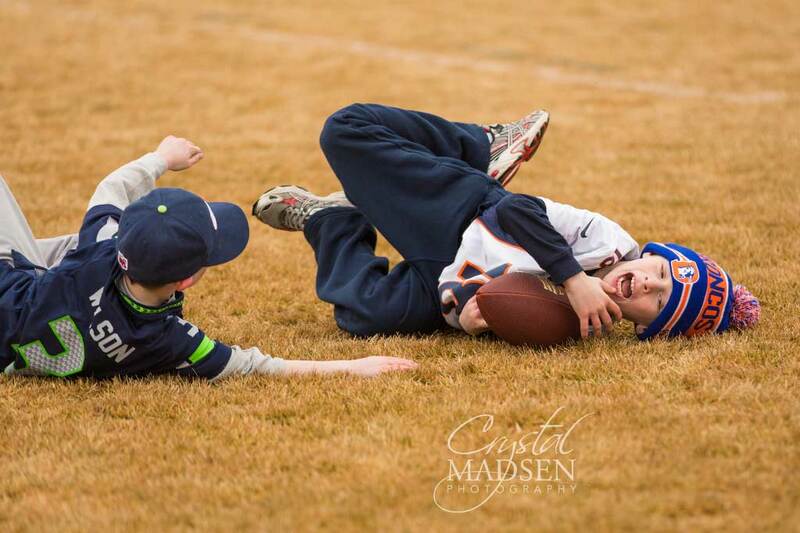 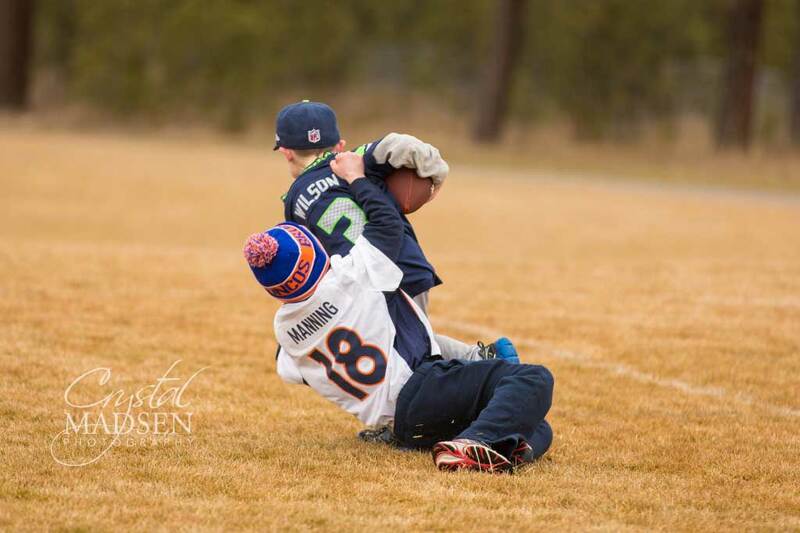 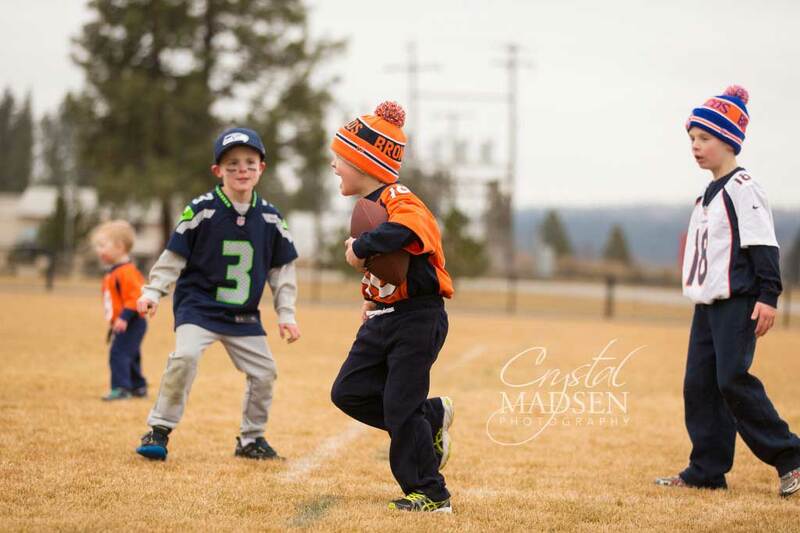 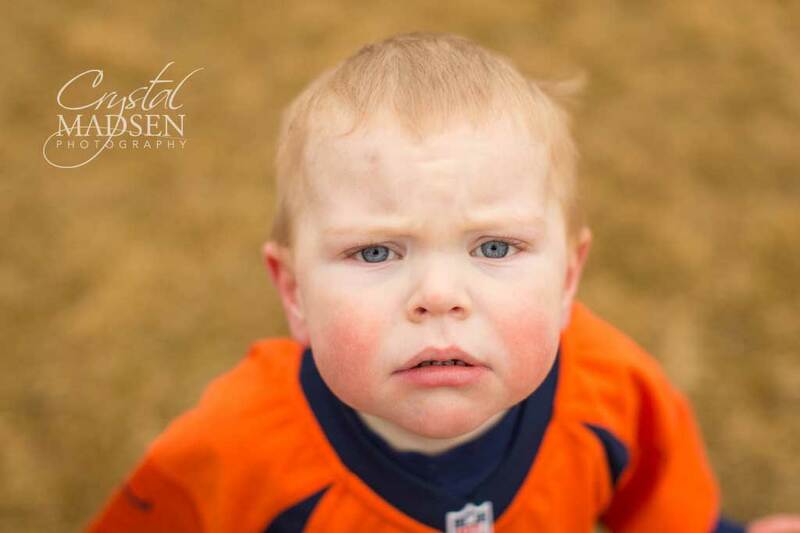 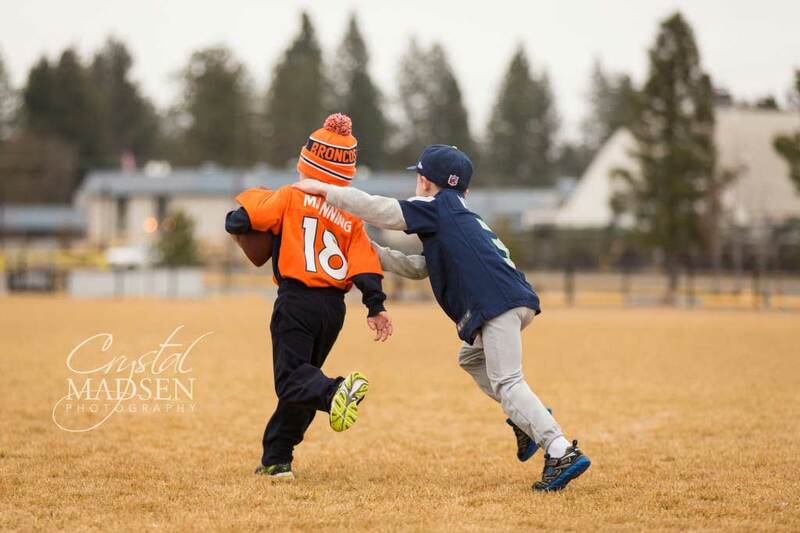 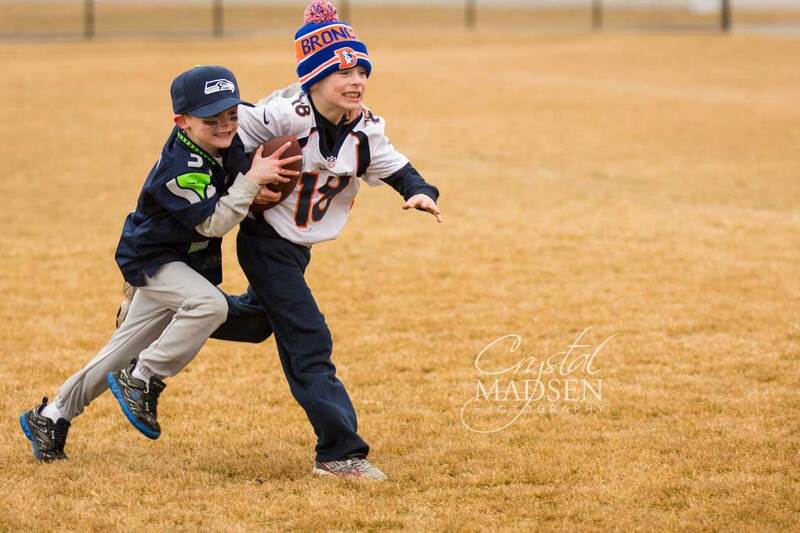 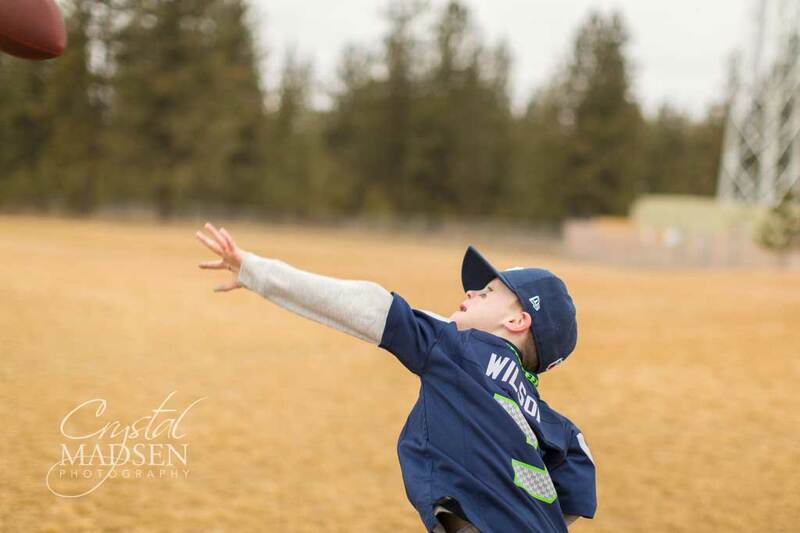 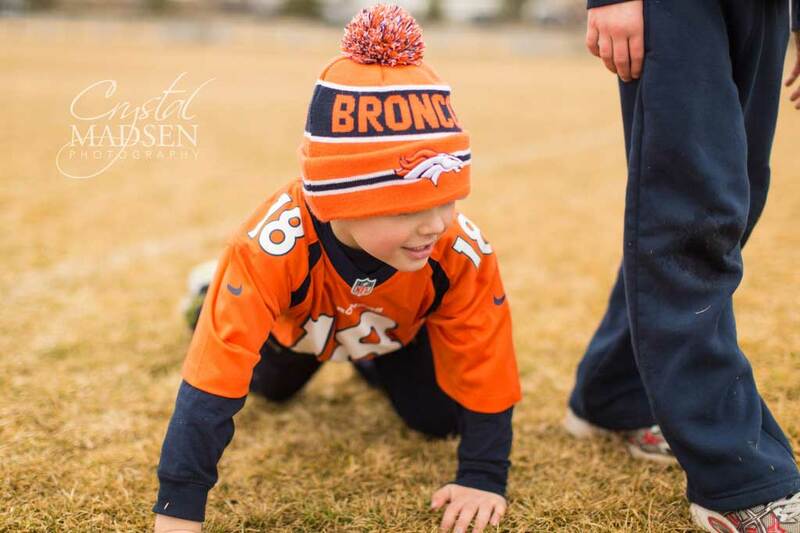 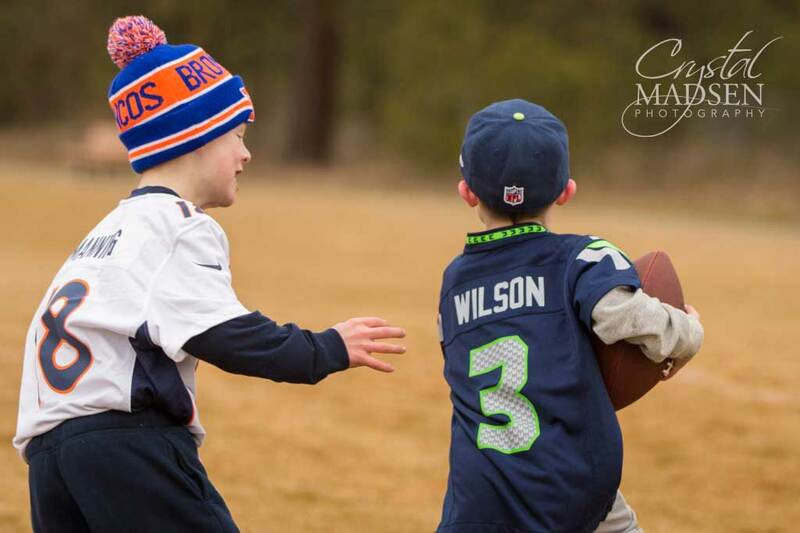 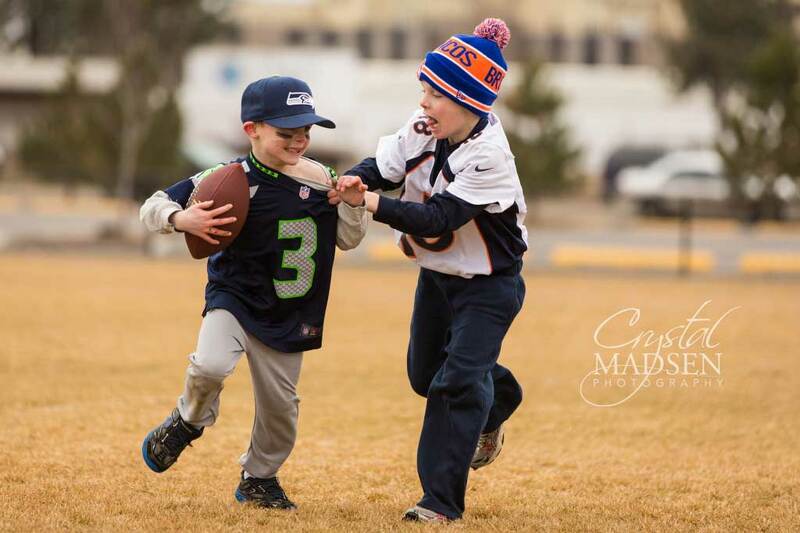 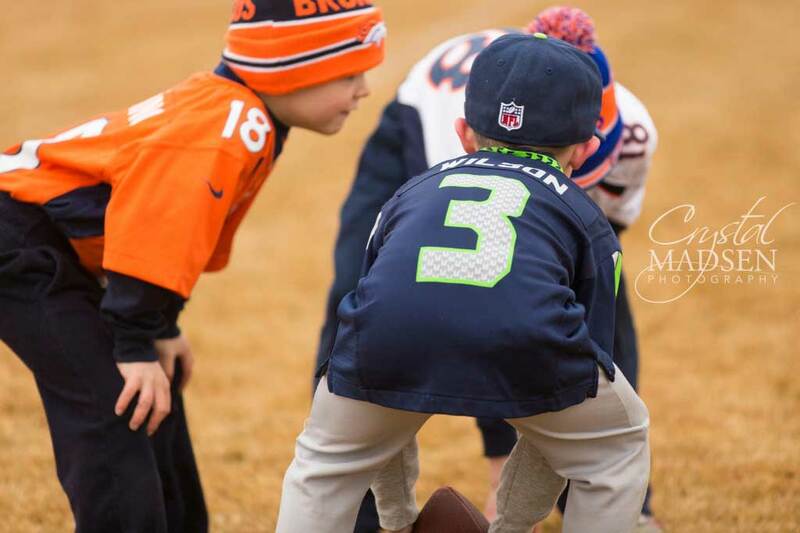 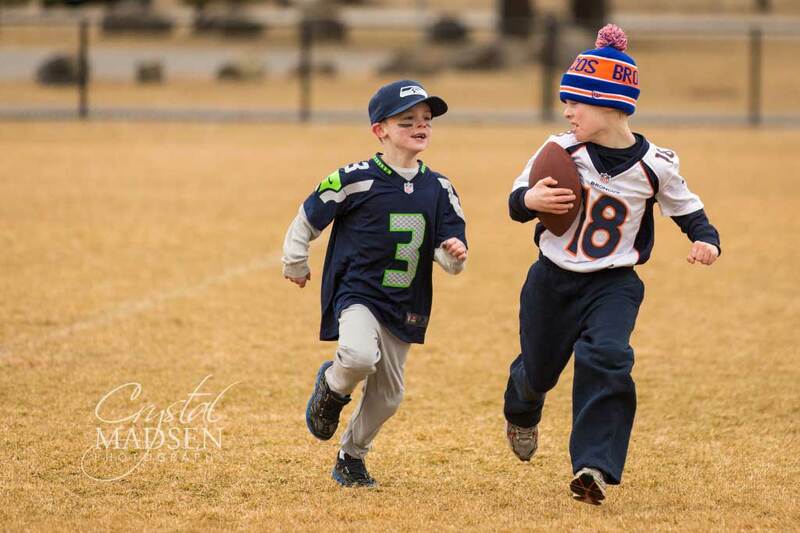 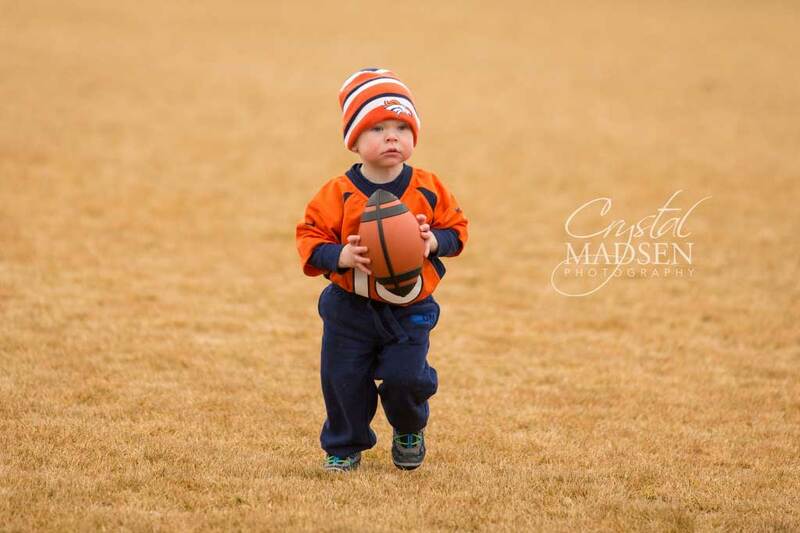 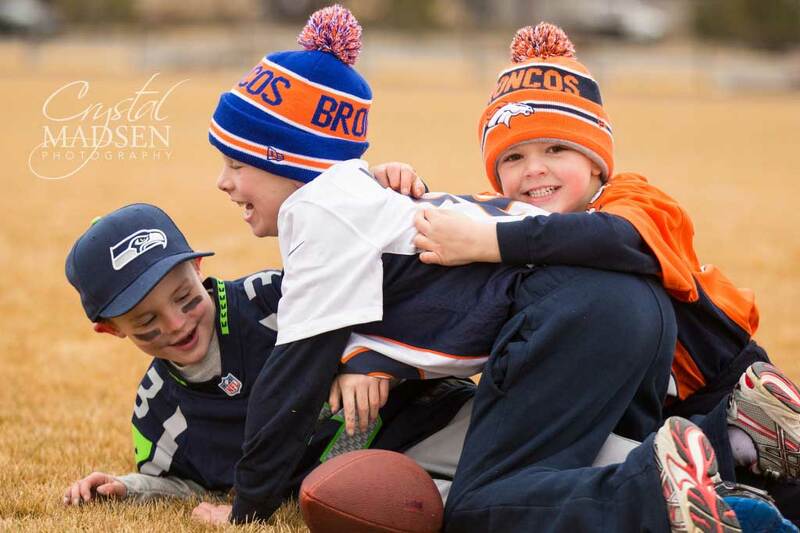 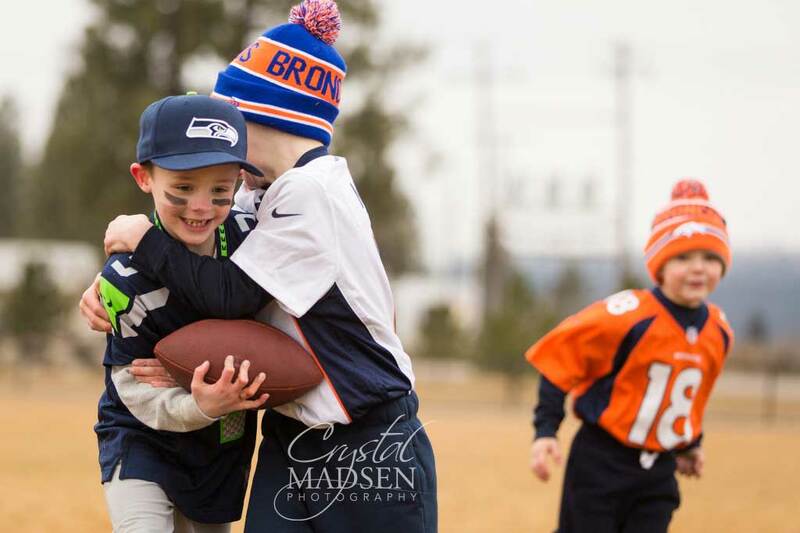 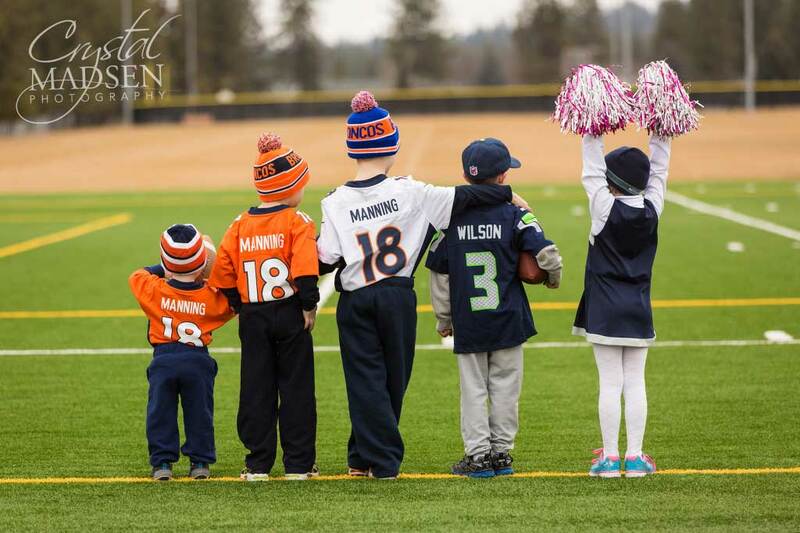 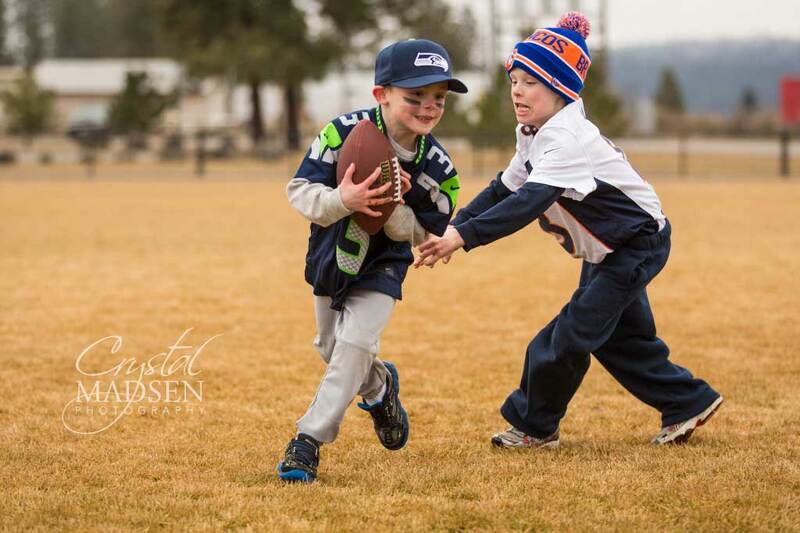 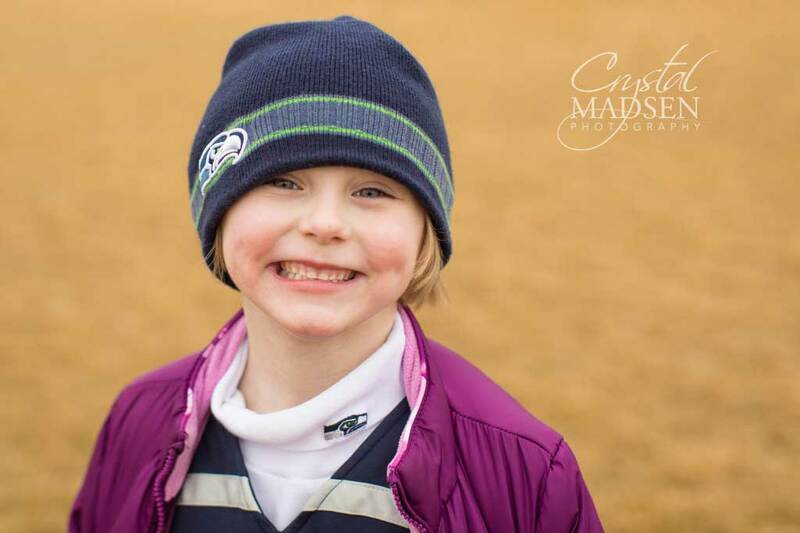 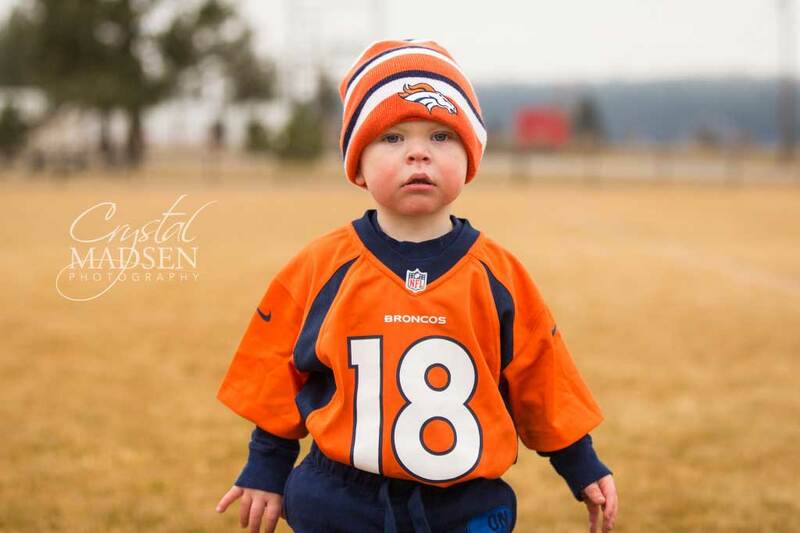 Seeing that the Super Bowl XLVIII would host both of our families’ favorite teams, we deemed it necessary to get the boys and their siblings together for a mini-football game and to create some great memories. 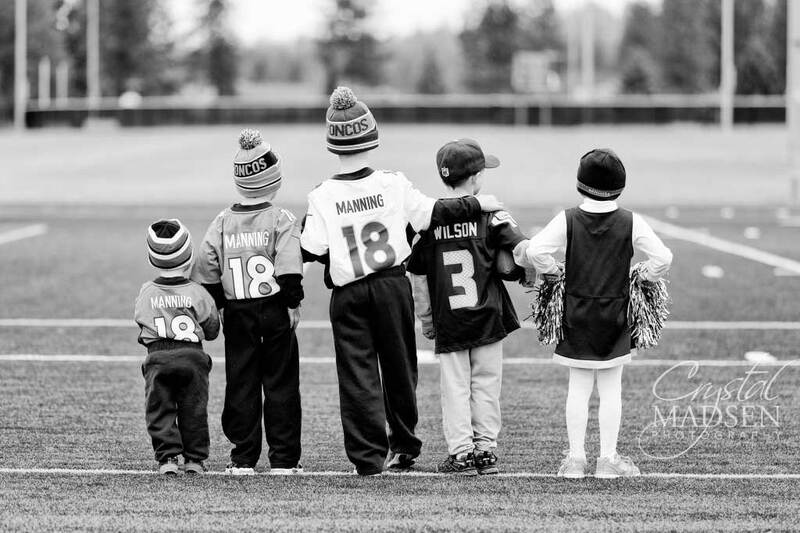 And I’m pretty sure you won’t find either set of parents complaining about our boys looking up to their favorite quarterbacks, I don’t think we could find better role-models in the game if we tried! 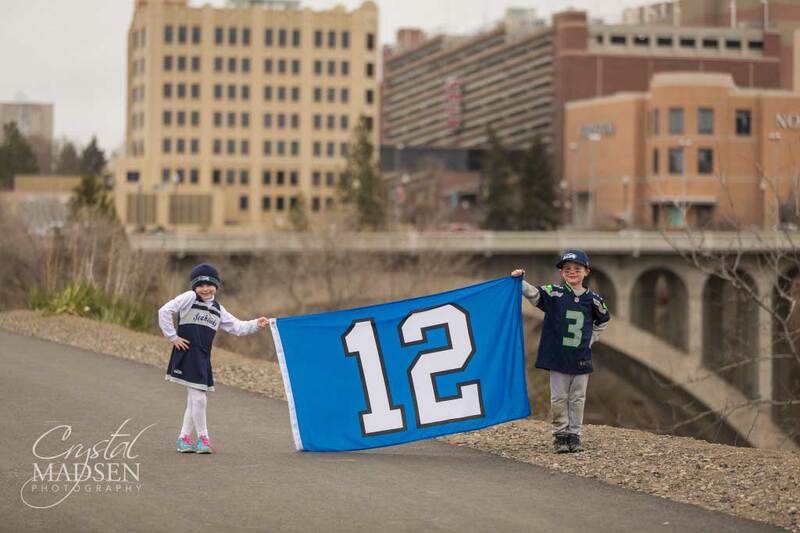 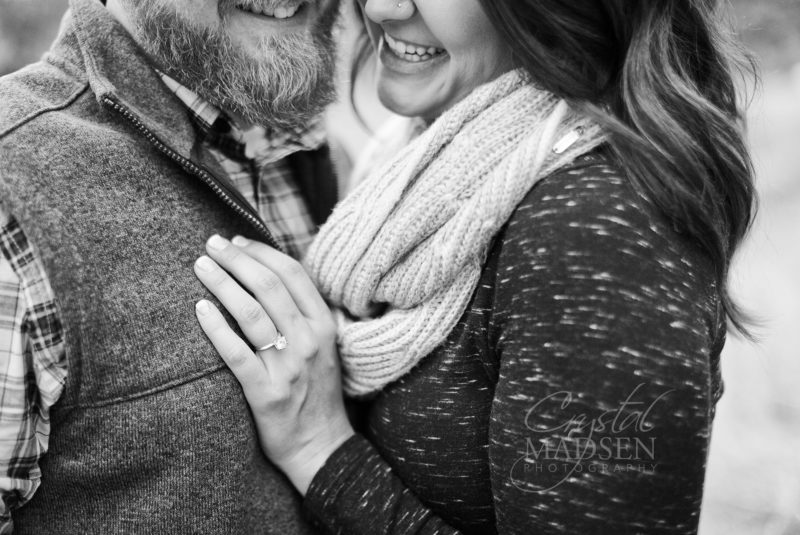 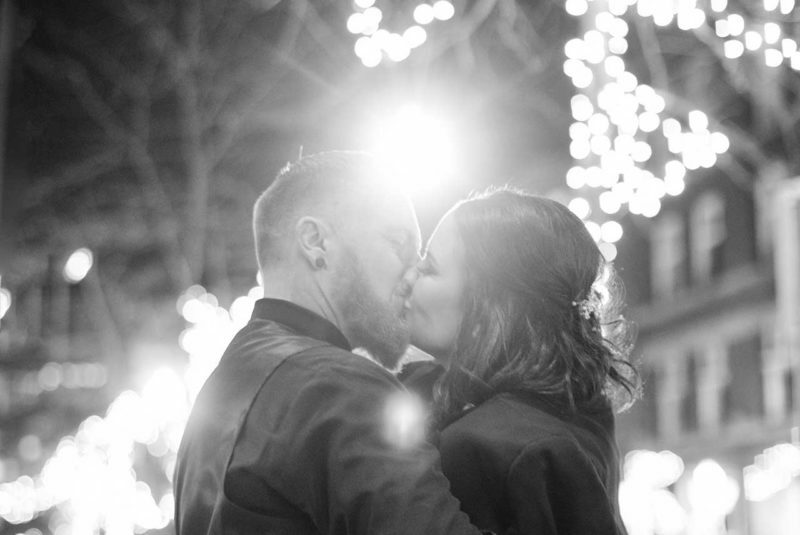 With a finger-and-toe-numbing 32 degree morning, we coralled the boys and my little Seagal for a few posed shots, then let them run their little hearts out. 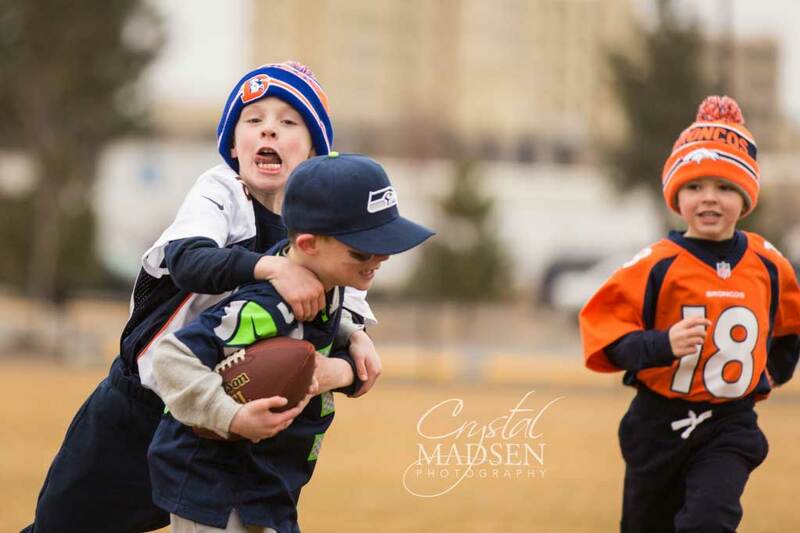 It was quite entertaining watching them step up to the scrimmage line, hiking the football to themselves, then running like heck trying to not let the other drag ’em down. 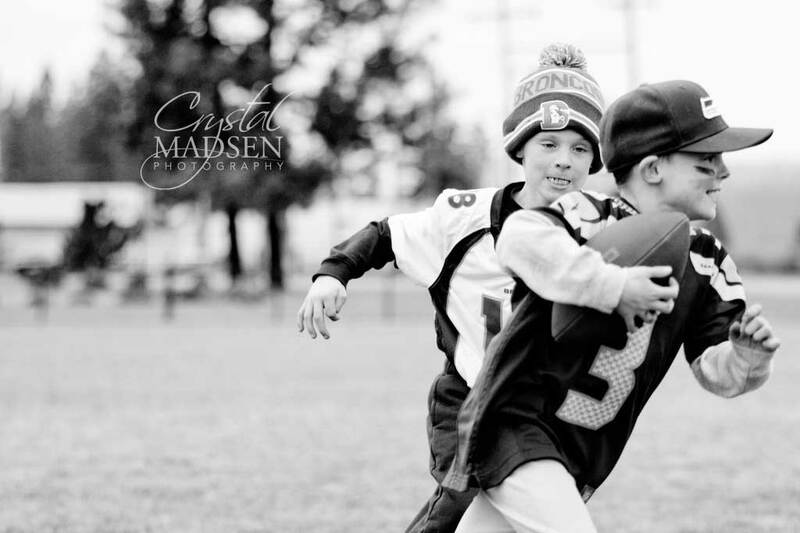 They would have played for hours if we would have let them. 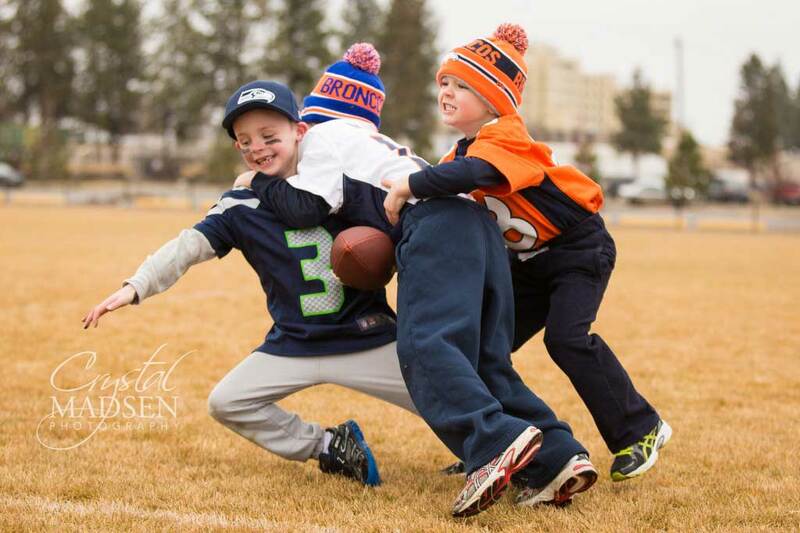 We did receive one complaint from David when the Broncos wanted to be on the same team. 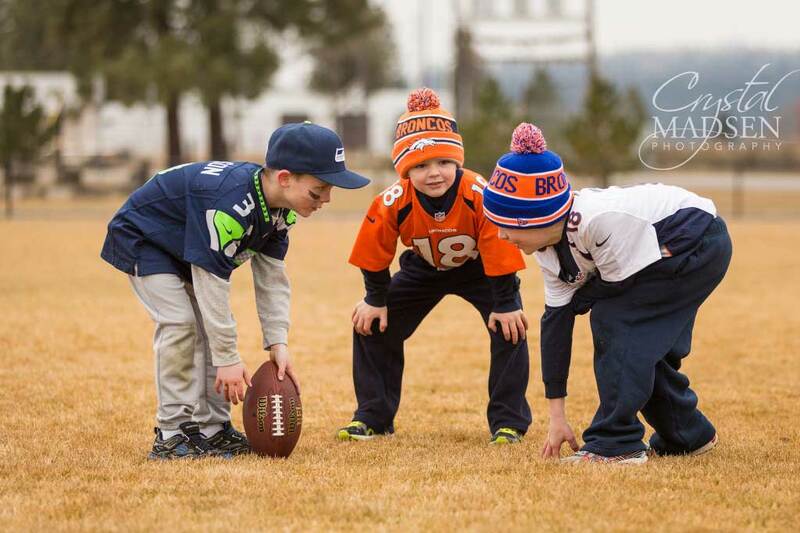 A 2-1 ratio is never in a quarterback’s favor.